Bet you can’t wait to get out of the airport and begin your Hong Kong adventure! But, how do you get to the city? There are 3 main modes of transport to travel to (or from) the airport in Hong Kong; Train, Bus or Car. With options ranging from luxurious private car transfers to cheap public transport and even convenient shuttle buses, this easy guide will help you decide the best fit for your wallet! The Airport Express Line (AEL) train is the cheapest way to get out of the airport! Hop onto the train and arrive in the city center in under 30 minutes. Need to text your family and friends to let them know you’ve safely arrived? The train comes fully equipped with free WiFi! Try to get a seat in cars 1 or 7 which come equipped with charging stations for your phones and laptops! Most airlines also offer a complimentary check in service for AEL ticket holders from 90 mins up to one full day before you departure, so check in early and squeeze in a few more hours of sightseeing worry-free! Skip the long lines at the station counters and get your discounted tickets at Klook! Simply scan your QR code at the turnstiles and you’re all set. Want a more seamless route without all the transfers? Hop onto the Hong Kong Shuttle Bus and arrive straight at your hotel from the airport. Equipped with Wifi and recliner seats, kick back and relax all the way till you reach your destination. With a visual announcing system, you won’t have to worry about missing your stop. Check if your hotel is part of the route here. Prebook your tickets with Klook to skip the queue at the airport! Simply head down to the information desk at B01 in the arrival hall B of terminal 1 and show them your mobile voucher. Your bags will be placed into the buses for you so just kick back and get ferried to your hotel. For a cheaper alternative, do as locals do, hop onto a Public Bus and head into the city. With many public stops near hotels, this option would be best for those on a budget and travelling light! Check out the routes from the airport here. However, be warned that with the many public stops, the journey time could set you back over an hour! Skip the hassle of keeping exact change and buying single trip tickets and pay with your Octopus card. Just tap and go! Taxis in Hong Kong are plentiful and can be hailed easily along the streets (except for some restricted areas). They are metered,air conditioned and clean but can be a bit confusing for tourists. You’ll notice that the taxis are different colored, and bear in mind it DOES make a difference. For families (3 and more) and people travelling with many luggages, an MPV would be the best choice. Get whisked off in comfort without worrying about navigating the roads, public transport system or even toll charges! Book an MPV with Klook and ease your worries of being tourist touted. The driver holding a signboard with your name will collect you and your luggages from the arrival hall and whisk you off in comfort! The Hong Kong International Airport is also connected to the Pearl River Delta. So, if you’re heading to Shenzhen or Guangzhou, the same V.I.P ride can be arranged too! You’ll not only skip the long immigration lines, it’ll also save you the trouble of getting out of your vehicles and lugging all your baggage along. For smaller families and groups, enjoy the same comfort but in a Tesla! Get the same luxury treatment with the driver greeting you at the arrival hall and arrive fuss-free at your destination. Now that you’ve settled your transportation from the airport, you’ll need to know how to get around Hong Kong. Getting around Hong Kong on public transportation would be incomplete without the Octopus Transport Card. This contactless card allows you to pay for your trips as well as your shopping at grocery stores, convenience stores and even fast food joints! Simply add value to your card at any convenience store and you’re all set! This is also a more wallet-friendly option as compared to getting multiple single trip tickets! Save the hassle of queuing up at station counters and fumbling with small change each time you travel. Klook’s Special Edition Octopus card (preloaded with HKD 50) can be picked up straight from the airport! The iconic Hong Kong design doubles it up as a great souvenir and is valid for 1000 days. Get 72 hours of unlimited travel on the MTR system with this 3 Day Pass. For those who wish to make small purchases at stores, simply add value to your octopus card and buy away! At the end of your travel, return the card to the airport counter to get your deposit (HKD 50) back! Skip the long queues and get your 3 day pass coupled with the Airport Express ticket at Klook to enjoy savings! Flash your mobile voucher to counter A13 in the arrival hall to redeem your card! Enjoy the freedom to plan your own itinerary and pick on the brains of the driver for ideas to see the Hong Kong or Lantau Island from a local’s point of view! A full day rental includes the airport transfer, giving you the ultimate V.I.P experience from the moment you land. Stay connected wherever you are with this 3G pocket WiFi device. Even if you cross the borders to Macau, you won't lose connectivity! No visit to Hong Kong is complete without a trip to Hong Kong Disneyland! From shooting down the evil emperor Zurg in the Astro Blasters ride to zooming through a whole new galaxy in Hyperspace Mountain, Klook your tickets to experience a magical time! We all scream for Emack and Bolio's ice cream cones! Be spoilt for choice as you choose from 100 over ice cream flavors and cones. Apart from being ridiculously good looking, these cones are also made from all natural ingredients. Klook yourself a discount coupon and get feasting! Not sure where to find the best dim sum in Hong Kong? 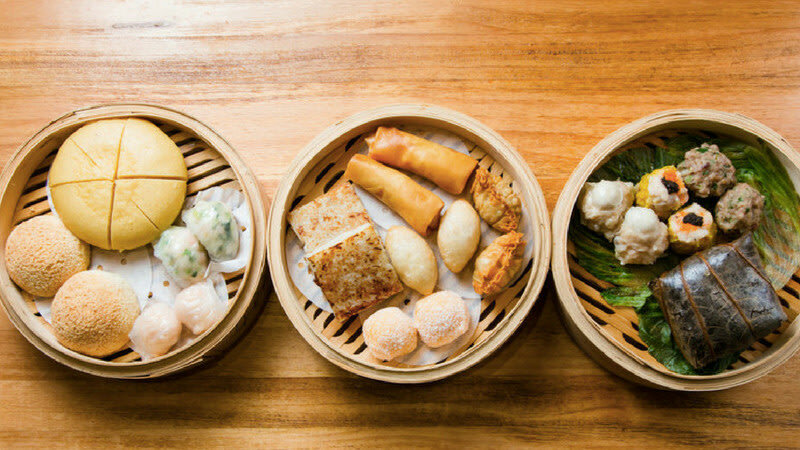 Check out the Klook guide to find out where to find the best dim sum restaurants near you and more importantly, which dishes are worth the calories. Find out more! 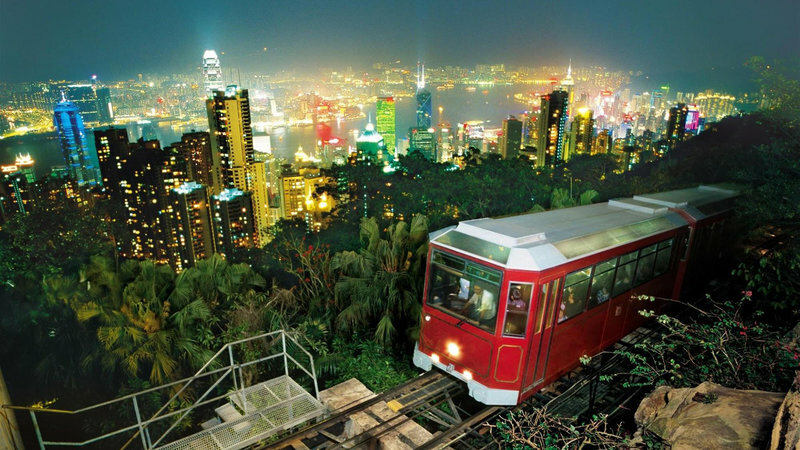 The iconic Peak Tram in Hong Kong is a must-visit during your Hong Kong travel. Did you know there are more hidden vantage points for the best view? Find out more! 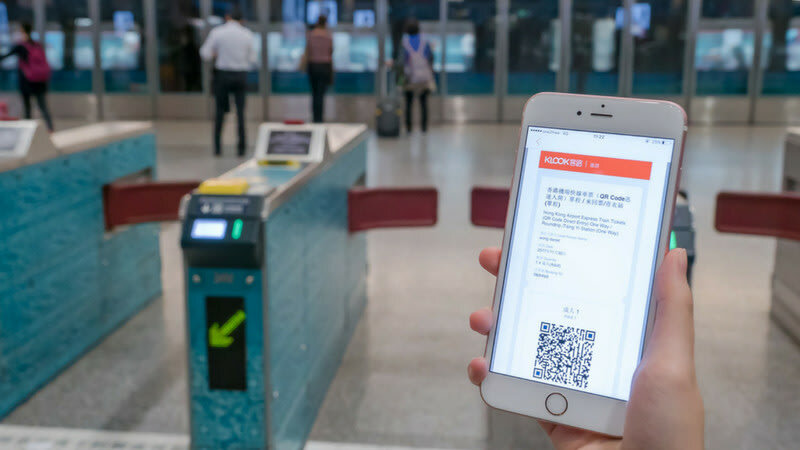 If you're looking for the fastest and cheapest way to get from Hong Kong Airport to the city, Klook yourself a Hong Kong Airport Express Train ticket and arrive in comfort in just 24 minutes. Find out more!